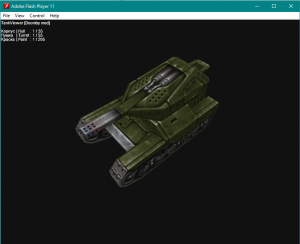 In this page, you can find an index of some important programs - some of which have been by the developers, while the others have been designed and written by players. 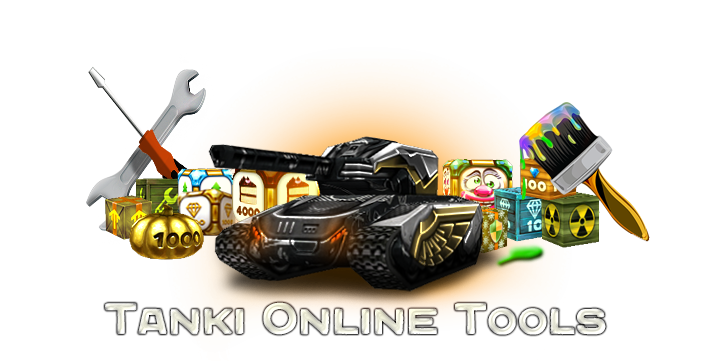 These programs can mainly be used for creativity and art; such as in photo-editing, video-editing or just to simply view the game's props, equipment, turrets, hulls, boxes and so on. This viewer allows you to view all kinds of equipment (including the newest turrets and hulls) and paints (including holiday, Shop, bundle, award, tournament and Staff paints). The "data" folder contains all the images and files necessary for the program to work and show different types of paints on a specific piece of equipment, so it's advisable not to play around with the files it contains. The XML document stores all the data needed to start up and make the program work. Now, the "TankViewer.exe" file will open the program in Adobe Flash Player, whereas "TankViewer.swf" will open it in Internet Explorer. To download this viewer, click here. 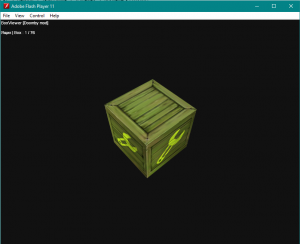 This viewer allows you view all drop boxes from the game, including all textures that were introduced to the game after each graphic update. This includes supply, crystal and Gold boxes! The "data" folder contains all the images and files necessary for the program to work and show different types of drop boxes, so it's advisable not to play around with the files it contains. The XML document stores all the data needed to start up and make the program work. Now, the "BoxViewer.exe" file will open the program in Adobe Flash Player, whereas "BoxViewer.swf" will open it in Internet Explorer. 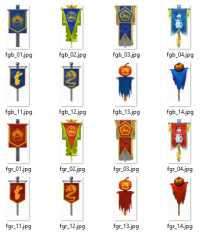 As self-explanatory as it sounds, this Viewer allows you to view all of the flag designs there have ever been in the game. The "data" folder contains all the images and files necessary for the program to work and show different types of flags, so it's advisable not to play around with the files it contains. The XML document stores all the data needed to start up and make the program work. Lastly, for all of you videomakers and content creators out there, here's a pack of all of the sounds coded in the game, including the sounds of turrets firing, engines revving and many other minor sounds. Take a look! Last but not least, the last folder contains all of the same files but with a .WMA extension, which is basically playable right on a software in your computer. This page was last modified on 12 January 2019, at 04:11.